This decision is consistent with the previous statements released by the Singapore government, which has always maintained that the MAS doesn’t regulate digital coin. The last time the authority issued a statement on Bitcoin was back in September, when it decided to warn the speculators about the risks of trading cryptocurrency. David Moskowitz from Coin Republic was pleased with the decision. “Singapore has a long tradition as a free trading hub and has become a leading financial center. It’s little surprise that the forward looking nation state has decided to take the lead in becoming a Bitcoin hub for Asia“, he said in a press release. By making this decision, Singapore is walking a very different path when compared to China, whose most recent move of blocking third-party payment providers from working with Bitcoin is already known as the “Great Financial Wall of China”. With the good news coming from Singapore, the Chinese cryptocurrency holders might have found a way out. 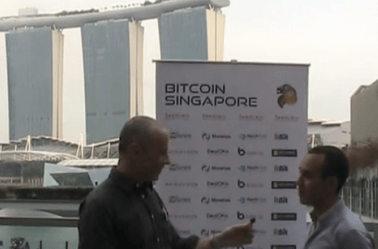 According to Moskowitz, the “Chinese nationals can freely spend their Bitcoin with merchants in Singapore. Additionally, if they have an account on a Singapore exchange and a local bank account, they can still exchange their Bitcoin for fiat. I wouldn’t be surprised if you see a sudden upsurge of middle kingdom visitors coming to Singapore to open bank accounts”.